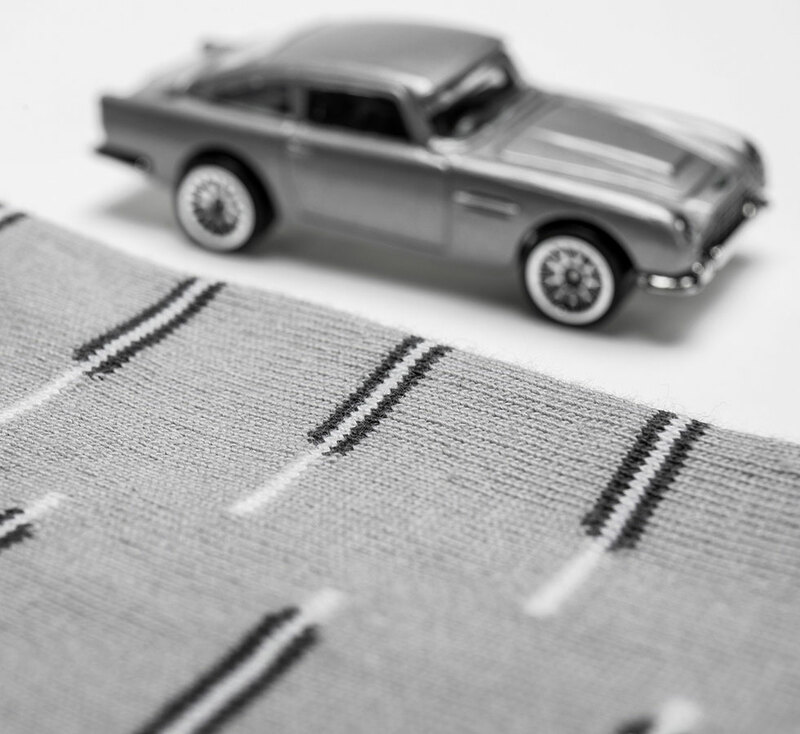 You can now complete any James Bond style outfit with these Aston Martin DB5 inspired socks made by Heel Thread. 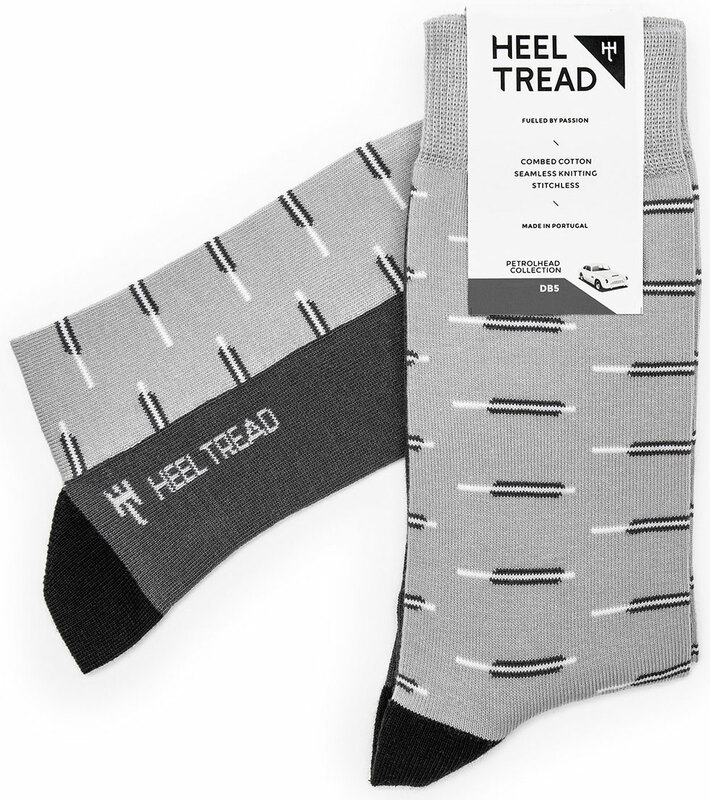 Heel Tread is a unique brand of socks that are a tribute to the most iconic cars. The designs on the socks are inspired by colors, headlights, air vents, textures and patterns that are unique to each particular car. 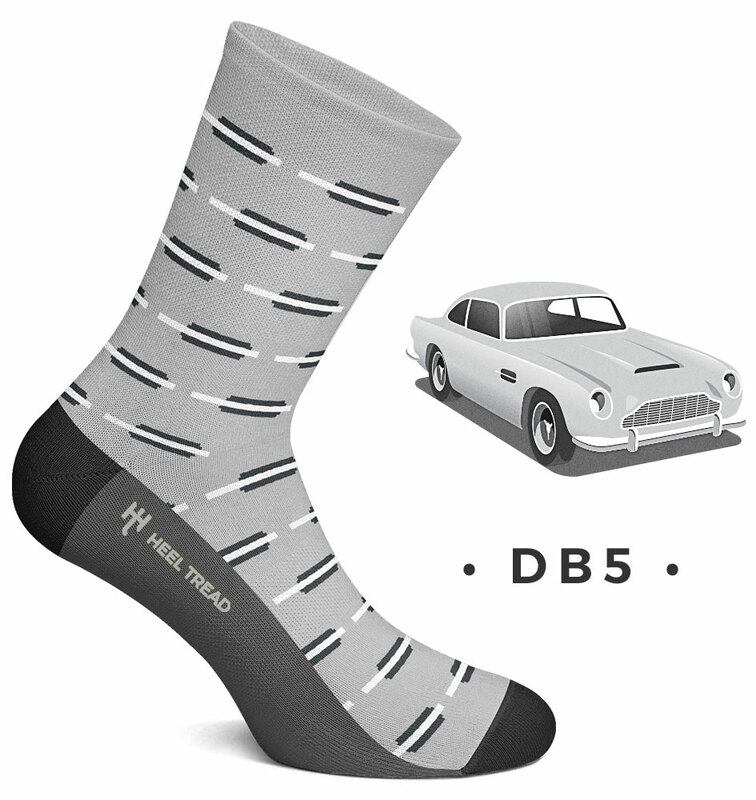 The Heel Thread Aston Martin DB5 pair of socks features the air intake on the side of the famous James Bond car. 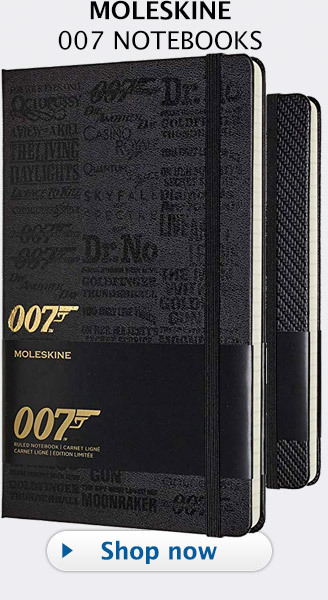 James Bond first drove the Aston Martin DB5 in the1964 film Goldfinger. 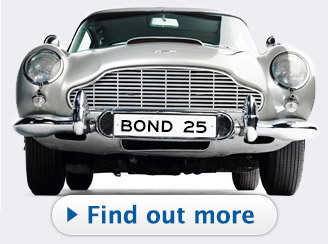 The DB5 was also used in Thunderball, GoldenEye, Tomorrow Never Dies, Casino Royale, SkyFall and SPECTRE. 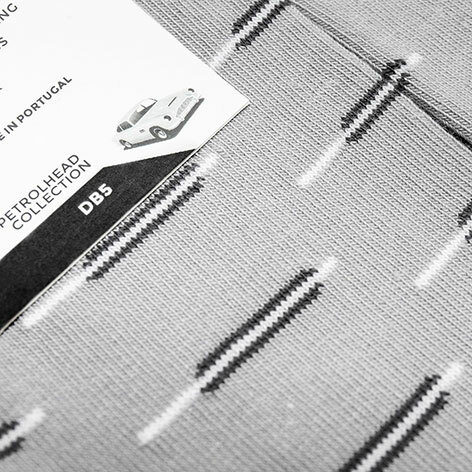 The socks are designed and produced in Portugal. 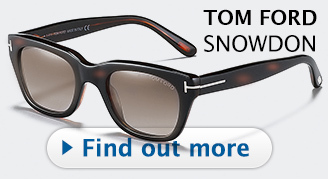 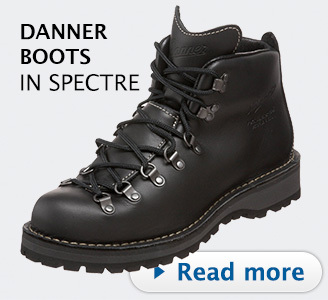 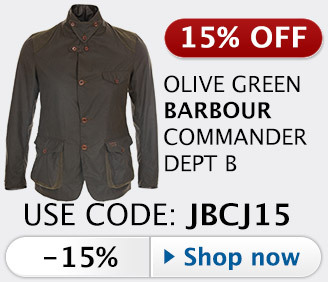 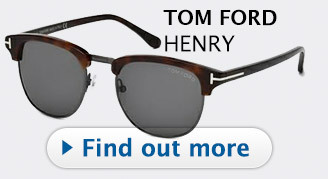 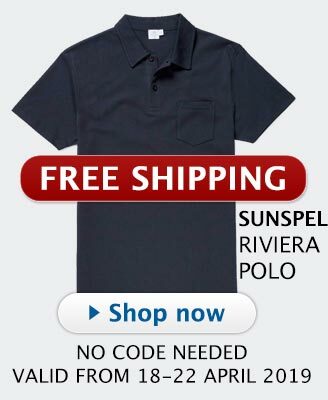 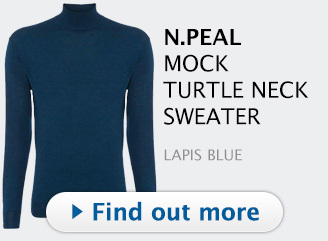 Made from 80% Combed Cotton, 17% Polyamide and 3% Elastane. 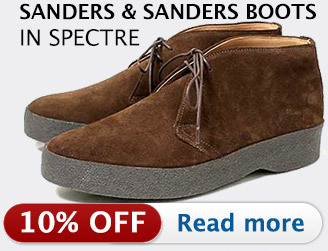 The company uses seamless toe knitting to create a sock without any stitches. The Aston Martin DB5 socks are available at HeelThreads.com for €10 / £9 / $12 in size Large (EU 41-46 / UK 7½-11½ / US 8-12) or Medium (EU 36-40 / UK 4-7 / US 4½-7½). 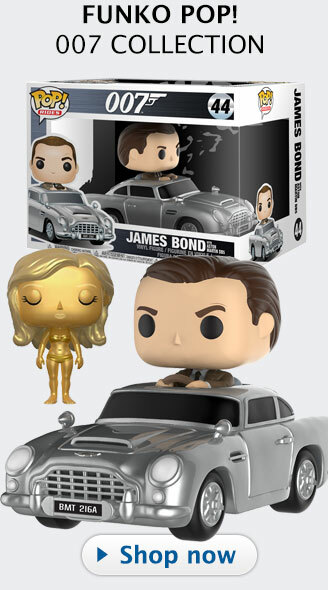 Other iconic cars in the collection include the '68 Ford Mustang GT driven by Steve McQueen in the movie Bullit, Eleanor from Gone in 60 Seconds, classic cars like the Jaguar E-Type, Lancia Stratos, Lamborghini Miura, Ferrari 250 GTO, Alfa Romeo GTA, Porsche RSR Martini Racing. 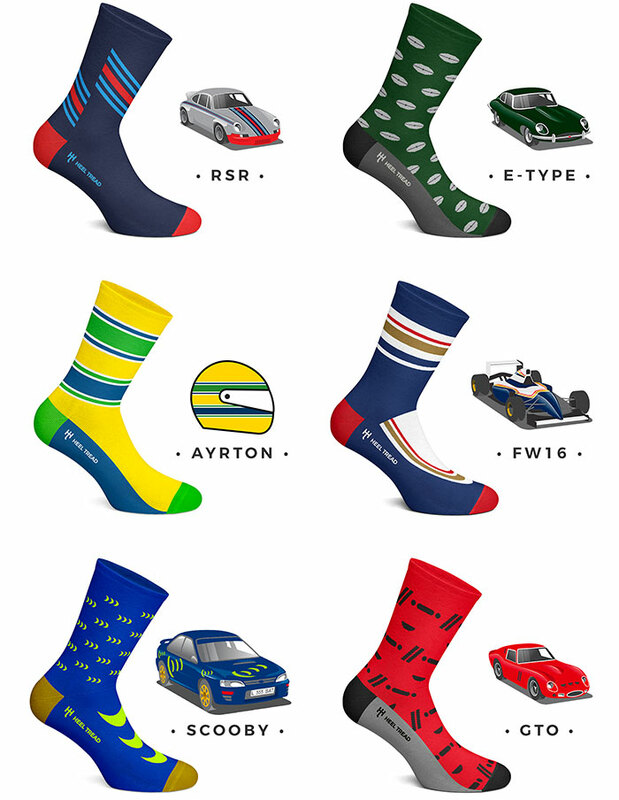 Also available are socks inspired by racing cars from Formula 1 (Ayrton Senna, Niki Lauda's McLaren MP4/2) and Rally racing (Subaru Impreza, Peugeot 205) and much more.